There are 2 outlets for Premier Clinic, a well-known & established medical aesthetic treatment clinic i.e. at Taman Tun Dr Ismail, KL (TTDI) & the other's at Bangsar. Since my office is at Damansara Heights, I decided to have the review session done at the Bangsar outlet. 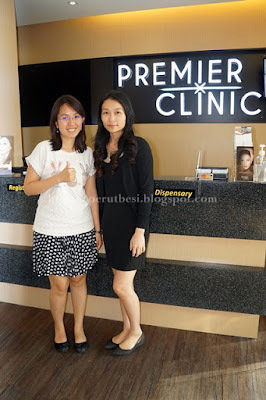 Premier Clinic offers a wide range of aesthetic treatments from fat/weight loss, skin related conditions, & facial/body contouring to hair loss, vaginal rejuvenation & many more. You can check out their full range of services on their website. Prices begin from RM100.00 per session & varies from treatment to treatment. They even offer flexi payment plans for various credit cards from 6 - 24 months. As my skin is more dry than oily (especially at my cheeks), I decided to take up the quick & simple yet impactful treatment of Ultrasonic Deep Cleansing that I've actually done 2 weeks before my visit to Premier Clinic at another facial centre, Gladys Beauty & Body Center in Damansara Uptown (the fantastic Groupon promo that I was raving about on my Facebook!). I find this treatment very helpful to get the skin deeply hydrated & to reduce the redness/sensitivity of my skin, especially around my nose area. Here at Premier Clinic, 1 session of Ultrasonic Deep Cleansing costs RM200.00 & for better results, you may need to go through this treatment several times since the 'effect' of treatment lasts just 2-3 days. The treatment helps to make your skin cleaner, more radiant, & less sensitive. Why Ultrasonic Deep Cleansing, you may wonder. Basically, the treatment involves a special device that emits ultrasonic wave motion to remove aged surface skin cells & any surface impurities like whiteheads & blackheads. Once the impurities are removed, a specially formulated detox gel with potent antibacterial & anti-inflammatory properties will be 'rolled' onto your face. The treatment concludes with the deep permeation of the light hydrogel (as per photo above) that contains herbal/vitamin potions to improve blood circulation & the skin's health. The treatment takes only 15-20 minutes & is not painful (quite relaxing). 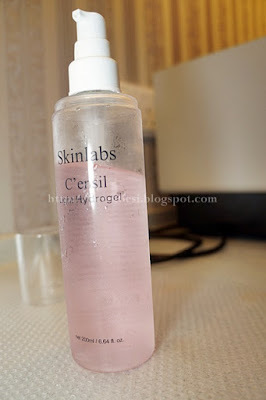 It is suitable for acne-prone, dry/sensitive, blemished or clogged skin just like my skin. With regular ultrasonic facial cleansing treatment, your skin's health will actually improve & you won't need to use hydrating facial masks so often. I think it's not so red/sensitive. If you're unsure whether this treatment is suitable for you, you can consult the doctors at Premier Climic first, who will be more than glad to provide the best advice for your enquiries. Tel: (+6012) 662 5552 - contactable daily from 8:00 a.m. - 10:00 p.m.